DOJ Home / Charities / Laws & Guides for Charities / Tips for Charities / Can We Vote by Email? Can We Vote by Email? In a word, no, but you can use email to make some board decisions as long as there is agreement among all of the organization’s directors. You can still get things done between meetings if you have an engaged and responsive board of directors. 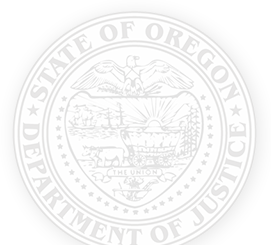 Oregon Revised Statute 65.341 » allows for corporate action without a board meeting if each and every board member consents in writing to the action. If any board member disapproves of the proposed action or fails to respond to the request for his or her consent, the action must wait to be approved by a vote at the next board meeting. If every director consents to the proposed action, the written consents should be printed out and added to the corporation’s minute book or otherwise preserved in the corporate records. Written consents given via email are acceptable. Let’s consider an example. Your executive director is busy planning the organization’s annual fundraiser when the perfect venue unexpectedly becomes available. The organization must make a $2,000 deposit in the next 24 hours to reserve the space, but the executive director is only authorized to spend up to $1,000 without prior board approval. In many circumstances, the organization could call a special meeting of the board, the executive director could email the board requesting consent to the expenditure. If each and every director responds to the email by consenting to the $2,000 venue deposit, the executive director can expend those funds. If only one director fails to respond to the email or responds but does not consent, the action is not approved by the board and the executive director cannot make the deposit without a special board meeting. The ability to approve corporate action between meetings is yet another reason to develop a board of responsive, engaged directors. Having too many directors or directors who are unresponsive between meetings impairs the organization’s flexibility and undermines its ability to act fast when needed. But with the right number of directors who read and respond to their email, your organization can approve corporate action in between board meetings.